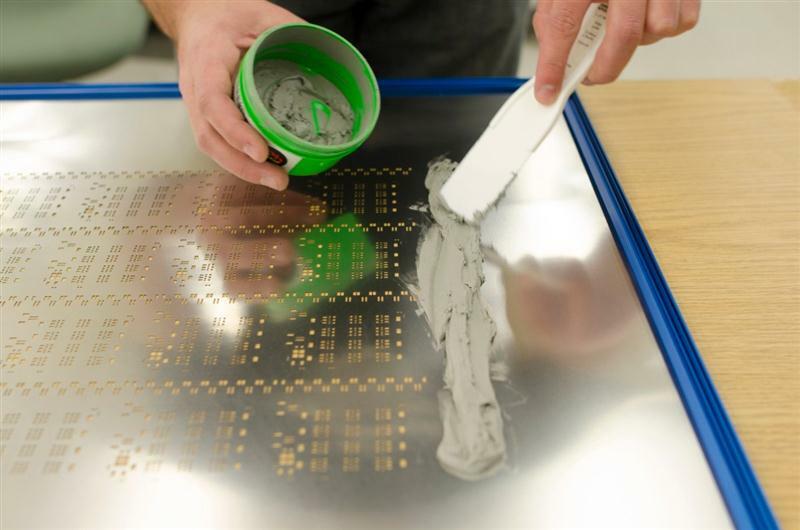 In the process of PCB soldermask manufacturing, the craft of PCB continuous double-side printing liquid soldermask by silkscreen printing nail-bed has been massively applied. Since relatively big differences take place between PCBs in terms of aspects of design including thickness, pattern distribution, via diameter and via distribution, the manufacturing of silkscreen printing nail-bed is extremely difficult. If the distribution of copper nails on nail bed is far from being reasonable, soldermask thickness uniformity is easily caused. The bad result is either the color aberration of soldermask appearance, bad soldermask imaging or solder bridge with broken resistance, leading to rework or scrap. Therefore, detailed instructions have to be established to pertain to nail welding in the process of soldermask silkscreen printing in order to ensure the quality of nail bed.